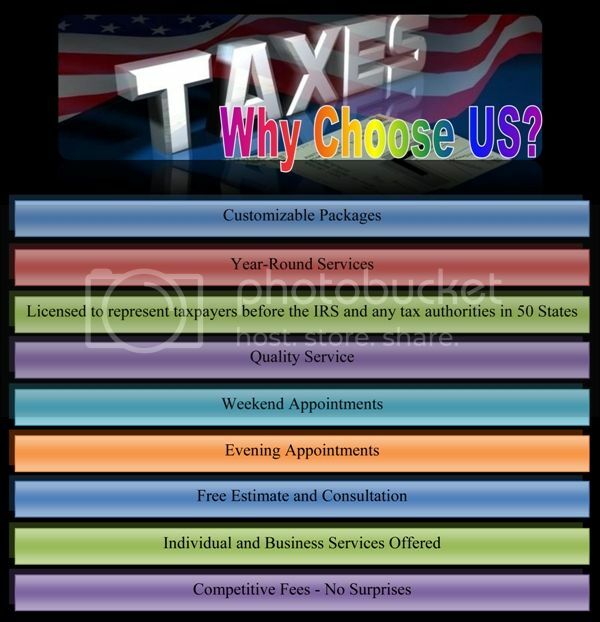 AT&A American Tax and Accounting Services, Inc has tax specialists equipped to help clients reach their financial objectives. We apply a mix of skill and expertise to discover the tax breaks that can limit your burden. You can rely on us for professional tax advice and a strong focus on quality. Having effective tax planning strategies in place is an important aspect of running a business. Our professionals will manage your records efficiently and accurately. Let us create a long-term program that helps you save both time and money. Our team are committed to customer satisfaction, look no further than AT&A American Tax and Accounting Services, Inc. Our trusted associates offer flexible hours and weekend appointments, and you can come to our office for help all year. You'll be pleased by our competitive rates with no hidden surprises. Call today to learn more and receive a free estimate.